When I came across this Famiclone for $5 in a flea market, it was as if a dream had come true. And as hard as I may be searching to make a nightmare joke here, I simply can’t bridge that gap. 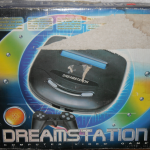 Sure the Dreamstation is a Famiclone, with all the cheap, half-assed Chinese goodness you would expect, but the system has only a few minor flaws. My only real complaint is that the cables for the controllers are way too short, other than that this system is pretty great, considering it is a Chinese Famiclone. Another thing, although it isn’t really an issue other than cosmetic, is the melting styrofoam which seems to be an issue with most Chinese Famiclones that I’ve seen. Both the styrofoam from the box and the plastic in the system seem to be fusing together for some unknown reason. Even with the cables being considerably too short, the controllers are surprisingly and extremely comfortable. They also arranged the A and B buttons more like the NES controller than most other Famiclone controller I’ve used, and included A and B shoulder buttons. The light gun included with the set feels very comfortable in my hands and is also surprisingly very accurate, but looks too real to be swung around wildly in public. 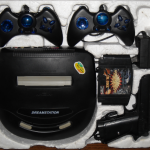 To compare the Dreamstation to my 57000 Video Game System, functionality wise I have to hand it to the Dreamstation hands down. The cartridge slot has a nice, broken in feeling where the carts pop in and come out without issue, as where the 57000 seems as if it just doesn’t want to let go of the game. 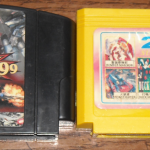 Both pirated games and my Famicom games fit perfectly, with the real Famicom games fitting like a glove, I assume due to their significantly more rigid cartridge plastic. 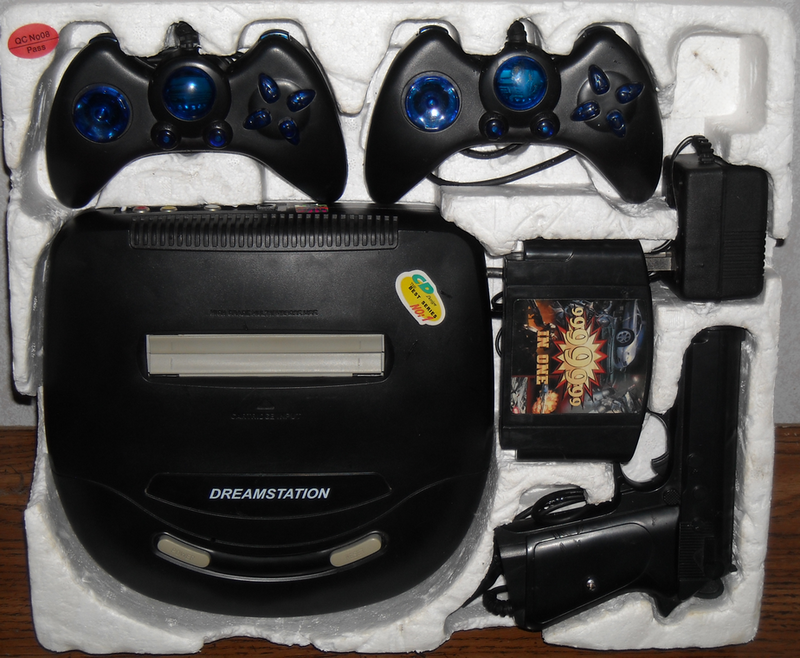 It seems as if they used a Sega Genesis 2 for the base of the Dreamstation and just rounded it off to fit their needs. 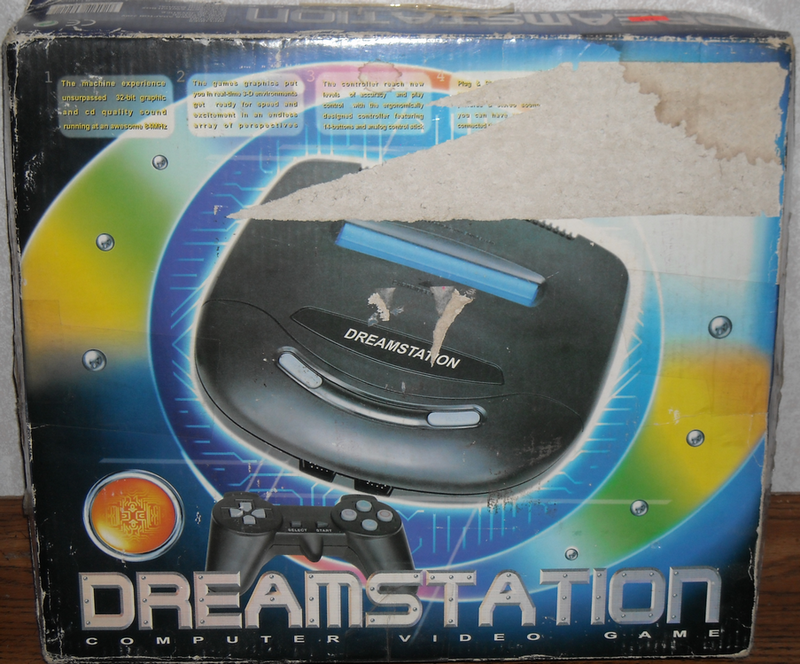 The Dreamstation comes with the standard 9 pin controller inputs for 2 players, uses the standard 9v DC power supply and much like the 57000 Video Game system, has AV and RF outs on the back. But unlike the 57000 the Dreamstation’s RF out works, and for some reason broadcasts to channel 23. 1)Pokemon – Hack of Nuts & Milk. 2)Super Mario Bros. – Pretty much what is stated. 4)Duck Hunt – Normal Duck Hunt. 6)Road Fighter – Normal Road Fighter. 8)Fancy Mario – (aka Dream Mary) Incorrectly mirrored Super Mario Bros.
9)Clay Shooting – Normal Clay Shooting. 1)Bomber Man(2002) – Looks great, plays like Bomber Man. No clue where this came from. 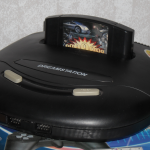 3)Road Fighter – Normal Road Fighter. 4)Baseball – Completely messed up, as always, pirated Nintendo Baseball. 5)Circus Charlie – Normal Circus Charlie. 6)Lode Runner – Normal Lode Runner. 7)Duck Hunt – Actually “Snowfield Shoot”, a hacked version of Duck Hunt. 8-20) Repeats of the above. 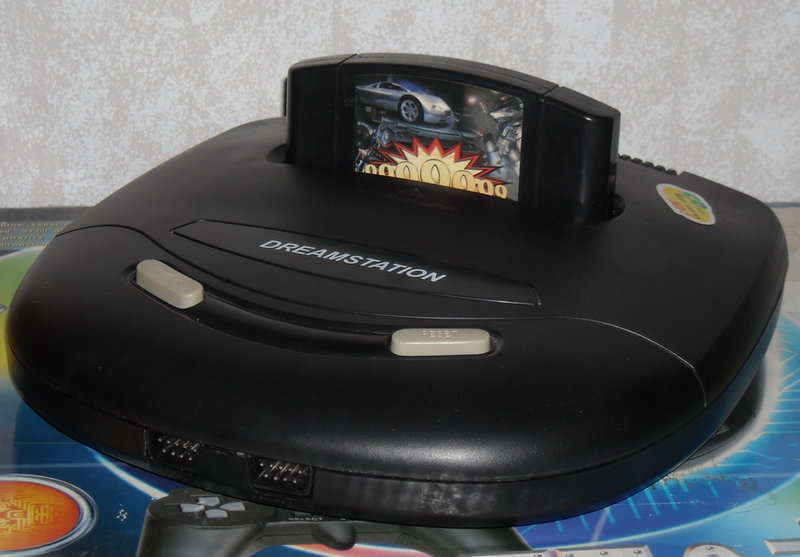 Overall the system feels plastic and cheap, but the cartridges go in and perform solidly. The controllers are extremely comfortable, surprisingly solid and the buttons are in a more familiar layout than most Famiclones. Although I paid $5 for the two pirate cartridges I saw, I ended up with a pretty solid Famiclone to add to my ever growing collection. Retail price? I have absolutely no clue. Hey man thanks for putting down the games for the system. I’m working on a gaming website and this helps with the list of games for it. hello mabby you know how can i repair one? What seems to be the problem with your system?